Harness the power of marketing automation without doing the heavy lifting. MAP uses the data and history you’ve gathered over time with each of your customers, so you can easily identify the optimal message that speaks to their point in the purchase lifecycle. Send highly customized e-mail and direct mail campaigns to match your monthly goals, as well as plan for future promotions and initiatives. 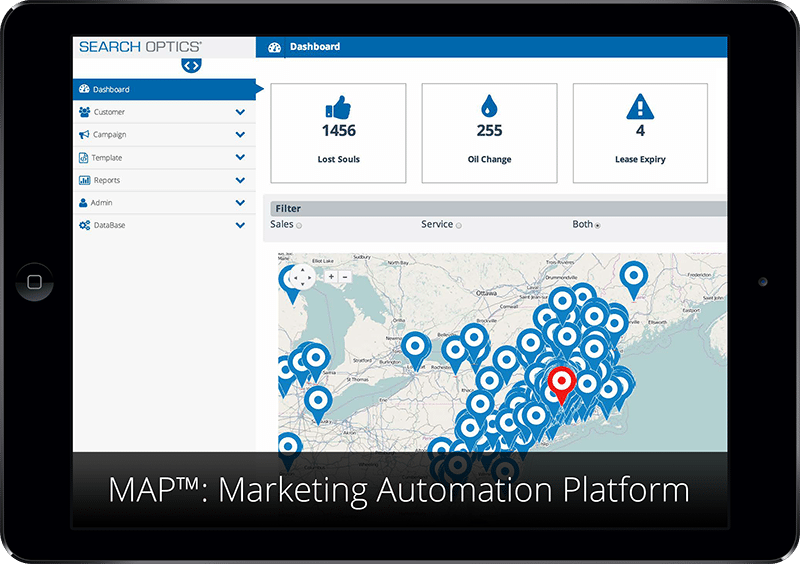 MAP blends the capabilities of marketing automation with a human factor to determine the best upsell strategies and referral opportunities to encourage customer loyalty from the first purchase through auto services and future sales.